Would you like to win a PIZZA PARTY for your class? 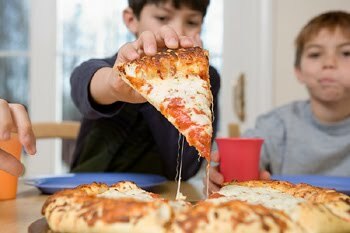 Dr. Childers is excited to announce that we will be giving away a pizza party to one of our patients and their entire class. Simply tell us why your teacher is the BEST, and your class might win! You can enter the contest by commenting here, on our Facebook page, or by emailing your response to heather@childersbraces.com. You can also submit your entry the next time you’re in our Benton, Harrisburg or Herrin office! Just remember-all entries must include your name, contact information, teacher and school name. The contest ends March 31, 2011, so don’t delay! We will be announce the winner through our Facebook page on Monday, April 4, 2011. Brag About Your Dentist Contest A great patient review for Dr. Childers and team!